The French fashion house is famed for its luxurious and subversive sense of sensuality. 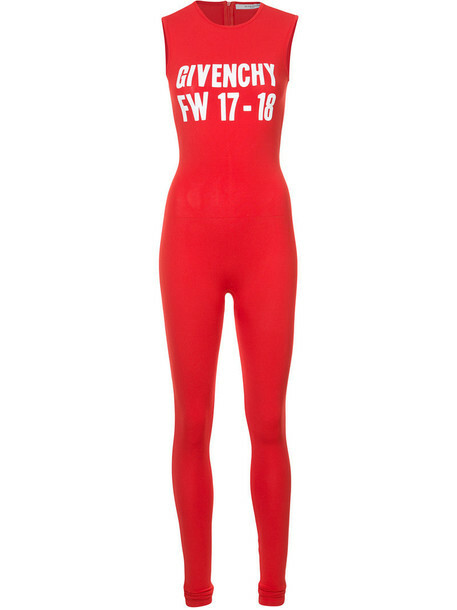 The label is all about making a statement, so try this scarlet sleeveless jumpsuit under a lacquered leather jacket. The sleeveless all-in-one design features a crew neck, a stretch fit, a long length, a rear zip fastening and a 'FW17-18' slogan print to the chest. This item is true to fit. Size: M. Color: Red. Gender: Female. Material: Polyester/Viscose.